Rescue teams in Southern California are working extra hours to scan through tons of debris from the disastrous and deadly mudslides that have seriously impacted several of the state’s coastal towns. So far, nearly 17 people are dead and eight people are missing after walls of mud raged downhill. The main areas impacted are between the Pacific ocean and the Los Padres-National Forest. The mudslides are a result of last month’s wildfires, which were the largest in California state history. As a result, the dead grass and shrubs that held the soil in place got destroyed and baked a layer into the earth that is now preventing water from sinking deeply into the ground like normal. Currently, residents are waiting on word for their loved ones, according to Santa Barbara County Sheriff Bill Brown. Previous articleCDC Reports 24 Victims Of E. Coli, Is This Food To Blame? 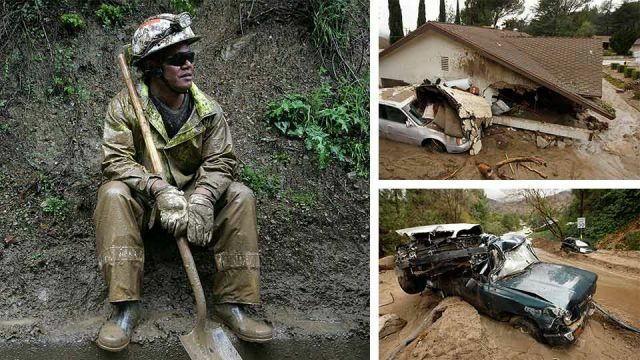 Hey Buddy!, I found this information for you: "21 Most Jaw-Dropping Images From The California Mudslides". Here is the website link: https://www.thealternativedaily.com/21-jaw-dropping-images-california-mudslides/. Thank you.